For other uses, see Dera Ismail Khan (disambiguation). Dera Ismail Khan (Urdu : ڈیرہ اسماعیل خان, Saraiki: ډېره اسماعيل خان‎), often abbreviated to D.I. Khan, is a city in Khyber Pakhtunkhwa Province, Pakistan. It is situated on the west bank of the Indus River, about 300 kilometres (190 mi) south of the provincial capital Peshawar, and 230 kilometres (140 mi) northwest of Multan, Punjab. The city is the capital of the district and tehsil of the same name. The predominant language is Saraiki. The total population of the city was 217,457 in the 2017 census, making it the largest city in the southern part of Khyber Pakhtunkhwa. In the local languages of Pashto, Saraiki, and Balochi, the word ḍēra means "tent, encampment" and is commonly found in the name of towns in the Indus Valley such as Dera Ghazi Khan, Dera Bugti, and Dera Allah Yar. "Dera Ismail Khan" thus means "Camp Ismail Khan". 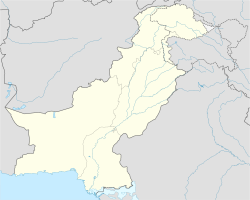 The people from Dera Ismail Khan are known by the demonym Dērawāl. The region around Dera Ismail Khan has been inhabited for millennia, as evidence by the nearby site of Rehman Dheri — a Pre-Harappan archaeological site dating from 3300 BCE. DI Khan is located in the historical Derajat region, which was established in the 15th century, when Baluch people were invited to settle the region by Shah Husayn, of the Langah Sultanate of Multan. Shah Husayn being unable to hold his trans-Indus possessions, assigned the region around DI Khan to Sardar Malik Sohrab Khan Dodai Baloch in 1469 or 1471 and appointed him as "Jagir". Malik originally hailed from the Makran District of southwestern Baluchistan province. His success lead to the migration of other Makrani tribesmen — one of which, Ghazi Khan, founded the city of Dera Ghazi Khan further south. Malik's son, Ismail Khan, is traditionally believed to have founded the city of Dera Ismail Khan, though the Emperor Babur passed through the region in 1506 and made no mention of the city. Baluch settlers were displaced by, or assimilated into, later waves of Pashtun settlement, although villagers along the alluvial plains are typically Baluch or Jat. The city was along the major Multan-to-Kandahar trade route, though it never attained a station of great power or importance before the British period. DI Khan grew prosperous as a trading centre for Powindah nomads. During Nader Shah's invasion of the Mughal Empire, the city's Baloch leaders surrendered the city without quarrel. DI Khan was ruled by nine generations of Baluch leaders descended directly from Ismail Khan. The last, Nusrat Khan, was removed from power after the city was captured by Ahmad Shah Durrani in 1750. In 1794, the city was granted to Nawab Muhammad Khan Sadozai by Shahzada Kamran Durrani. The original town was swept away by flooding on the Indus River in 1823. The present city was founded by Nawab Sher Muhammad Khan of the Sadduzai clan in 1825, and now stands four miles (6 km) away from the permanent channel of the river, atop a small plateau. Nawab Sadozai took into consideration the opinions of Diwan Lakhi Mal and Tej Bhan Chandwani for the city’s reconstruction. Architects were brought in from Punjab, who designed a city where Hindus would live south of the city center and Muslims north of it. Four bazaars were laid in each of the cardinal directions, with all four converging in the town's central Chowgalla. The rebuilt city contained a large bazaar for Afghan traders, and the city prospered from trade via the Gomal Pass. An eight-foot mud wall with nine gates was built around the city during this time as well, some of which such as the Kaneran Wala and Sakki survive until today. All existing buildings date from no earlier than the 19th century. NWFP province was made out of Punjab province in 1920. DI Khan was made part of NWFP now known as KPK province. DI Khan's first deputy commissioner under British rule was General Van Cortland, who arrived in February 1848, before departing later that year to quell a revolt in nearby Multan. Following the defeat of rebels at Multan, Lieutenant Butler was made the next deputy commissioner of DI Khan and Bannu. Under his rule, the city's infrastructure and colonial administration system were established in which top posts were exclusively occupied by the British. The city was on the edge of the Tribal Areas — lands that were frequently in rebellion against British rule. The town did not rise up in revolt against British rule during the 1857 Sepoy Mutiny. In 1861, DI Khan was made into the Divisional Capital of the new Dera Ismail Khan Division: analogous to a British county. The municipality was constituted in 1867, while the Dera Ismail Khan Cantonment was established in 1894. 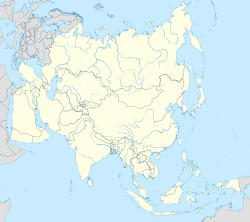 The military cantonment area, which lies southeast of the town, has an area of 44 square miles (110 km2), excluding the portion known as Fort Akalgarh on the northwest side. The Derajat Brigade had its winter headquarters at Dera Ismail Khan, and the garrison consisted of a mountain battery, a regiment of Native cavalry, and three regiments of Native infantry. Detachments from these regiments helped to garrison the outposts of Drazinda, Jandola, and Jatta. The "Civil Lines" neighborhood was built to the south. According to the 1901 census, the population of Dera Ismail Khan was 31,737, of whom 18,662 were Muslims, 11,486 Hindus, and 1,420 Sikhs. Of the total, 3,450 lived in the cantonment. The predominantly Muslim population supported the Muslim League and the Pakistan Movement. After the independence of Pakistan in 1947, the minority Hindus and Sikhs migrated to India, while the Muslim migrants from India settled in Dera Ismail Khan. In India, Model Town, Vijay Nagar and Derawal Nagar colony in Delhi absorbed many Hindu former residents of DI Khan. Following an influx of refugees following the 1979 Soviet invasion of Afghanistan, DI Khan's population tripled. 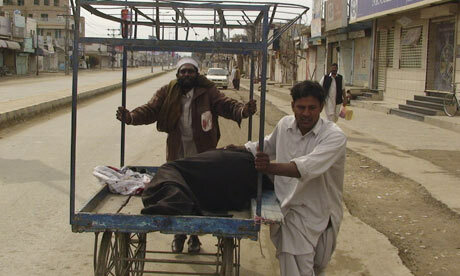 DI Khan was badly affected by a terrorist campaign conducted throughout northwest Pakistan, primarily between 2007 and 2014. A suicide bomber on January 29, 2007 detonated himself killing two while injuring seven people. During the 2008 Dera Ismail Khan suicide bombing a bomber targeting some specific Shias blew himself up in a hospital waiting room, killing 32 people. The attacks were carried out by the Tehreek-e-Taliban Pakistan to pressure the government to call off its offensive in Swat and the Bajaur Agency of the Federally Administered Tribal Areas, which had begun less than two weeks earlier. In the 2008 Mumbai terror attacks, one of the 10 terrorists, named Ismail Khan, originated in DI Khan. He was shot dead by the Mumbai police in the car that he hijacked. In the January 2009 bombings, 52 people were injured while 16 were killed as three explosions took place in the city. In May 2009, three explosions caused the deaths of five people while nine were injured. On 14 June 2009, eight people were killed while 27 injured in an explosion in Pir Market near a bus stand. On 29 July 2009, two people were killed and four injured when a bomb planted in car detonated near the district court. The Tehrik-e-Taliban Pakistan claimed the responsibility of these attacks. As part of the 2015 China-Pakistan Economic Corridor, it was announced that DI Khan would be the terminus of the Hakla–Dera Ismail Khan Motorway — a four-lane controlled access motorway, 280 km in length, that is to begin at the M1 near Islamabad and serve as part of the Western Alignment of the economic corridor. Dera Ismail Khan has a hot desert climate (Köppen climate classification BWh) with hot summers and mild winters. Precipitation mainly falls in two distinct periods: in the late winter and early spring from February to April, and in the monsoon in June and July. The city is connected to Bannu via the highway, which further connects it to the provincial capital of Peshawar via Kohat and Darra Adam Khel. Another road connects D.I. Khan to Mianwali through Chashma Barrage, and another connects the city to Zhob. The third major road connects it to Bhakkar in Punjab, situated on the eastern bank of the Indus River. A bridge on the Indus River was constructed in the early 1980s, before which the approach to Bhakkar was made through a boat bridge. DI Khan is at the terminus of the Hakla–Dera Ismail Khan Motorway — a 280-km, four-lane controlled access motorway that is to extend from the Hakla Interchange on the M1 Motorway, near Islamabad to DI Khan. The city is served by Dera Ismail Khan Airport, though no commercial flights operate to the airport. ^ "POPULATION AND HOUSEHOLD DETAIL FROM BLOCK TO DISTRICT LEVEL: KHYBER PAKHTUNKHWA (DERA ISMAIL KHAN DISTRICT)" (PDF). Pakistan BUreau of Statistics. 2018-01-03. Retrieved 2018-04-24. ^ Tehsils & Unions in the District of D.I. Khan – Government of Pakistan Archived February 9, 2012, at the Wayback Machine. Nrb.gov.pk. Retrieved on 2012-06-01. ^ a b c d Dera Ismail Khān Town – Imperial Gazetteer of India, v. 11, p. 269. Dsal.uchicago.edu. Retrieved on 2012-06-01. ^ "A Comparative Dictionary of the Indo-Aryan Languages". dsalsrv02.uchicago.edu. ^ a b c d Tolbort, T (1871). The District of Dera Ismail Khan, Trans-Indus. Retrieved 12 December 2017. ^ Aminullah Khan Gandpar, Tarikh-i-Sar Zamin-i-Gomal, National Book Foundation Islamabad, page 45. ^ a b c d e f g h i j k l "Dera Ismail Khan - An Overview of History and Indigenous People". Retrieved 12 December 2017. One or more of the preceding sentences incorporates text from a publication now in the public domain: Chisholm, Hugh, ed. (1911). "Dera Ismail Khan" . Encyclopædia Britannica. 8 (11th ed.). Cambridge University Press. p. 64. ^ a b c "Dera Ismail Khan Cantonment". Global Security. Retrieved 12 December 2017. ^ Dera Ismail Khān Town – Imperial Gazetteer of India, v. 11, p. 268. Dsal.uchicago.edu. Retrieved on 2012-06-01. ^ "Colonies, posh and model in name only!". NCR Tribune. Retrieved 2007-12-16. ^ "'Three killed' in Pakistan blast". BBC News. 29 January 2007. Retrieved 15 May 2017. ^ Cogan, James (August 23, 2008). "Military offensive displaces 300,000 in north-west Pakistan". World Socialist Website. Retrieved 2008-08-24. ^ "At least 8 killed, 27 injured in Dera Ismail Khan bomb blast". The Nation. 14 June 2009. Retrieved 7 April 2017. ^ "2 killed, several injured in Dera Ismail Khan court blast". The Nation. 29 July 2009. Retrieved 7 April 2017. ^ "Bike bomb kills DSP, 12 others in DI Khan". The Nation. 19 May 2010. Retrieved 23 April 2017. ^ "Militants attack police station in DI Khan, 10 personnel killed". The Express Tribune. 25 June 2011. Retrieved 13 May 2017. ^ Leading News Resource of Pakistan Archived January 12, 2012, at the Wayback Machine. Daily Times (2009-02-21). Retrieved on 2012-06-01. ^ "D.I Khan: Five police officers, 10 civilians injured in bomb blast". Dunes News. 4 January 2017. Retrieved 10 March 2017. ^ "Four policemen killed in Dera Ismail Khan". Geo News. 17 February 2017. Retrieved 3 March 2017. ^ a b "PM Nawaz performs groundbreaking of Motorway in D.I Khan". The News. 17 May 2016. Retrieved 19 May 2016. ^ "Dera Ismail Khan Climate Normals 1961-1990". National Oceanic and Atmospheric Administration. Retrieved January 16, 2013.